The UK lender’s vital investment bank had a mixed second quarter. Fixed income trading was worse than peers on a sterling basis, but advisory and financing fees leapt. Barclays’ challenge is to stay in touch with rivals as its cuts start to really kick in. That won’t be easy. A Barclay's trader works on the floor of the New York Stock Exchange, July 3, 2012. Barclays on July 30 posted an 8 percent fall in underlying profit to 1.7 billion pounds ($2.9 billion) for the second quarter, as pretax profit in its investment bank halved from the same period a year ago on revenue that was 16 percent lower. The UK bank cut costs for the three months to June by 4 percent year-on-year, but group revenue declined faster, at 9 percent down. Within its investment banking division, Barclays reported a 17 percent fall in its fixed income top line from the second quarter of last year, on a sterling basis. Equities trading revenue was down 19 percent. However, Barclays’ fees from origination and advisory work rose 35 percent. The investment bank contributed 34 percent of group revenue in the first half of this year, down from 38 percent for the same period in 2013. The UK bank said it had shed 5,000 staff overall so far this year. It aims to reduce headcount in its investment bank by 7,000 by the end of 2016. Barclays also added a new provision of 900 million pounds for PPI compensation. Barclays Chief Executive Antony Jenkins said on an analyst call that initial investigations into whether banks manipulated foreign exchange markets had led the U.S. Department of Justice to extend by a year a deferred prosecution agreement for Libor. He added that the extension did not imply there had been any wrongdoing. 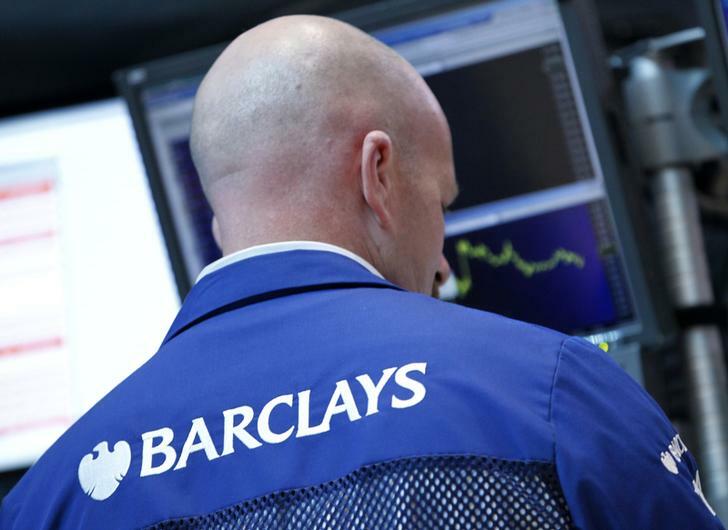 Shares in Barclays rose 5 percent by 1000 BST to stand at 230 pence, around where they were before New York Attorney General Eric Schneiderman filed a lawsuit on June 25 alleging the bank misled investors in its “dark pool” equities trading platform. Barclays is contesting the suit.